The documentary has been called the most important motorcyle documentary ever made, so it is only fitting that it should have its own helmet. 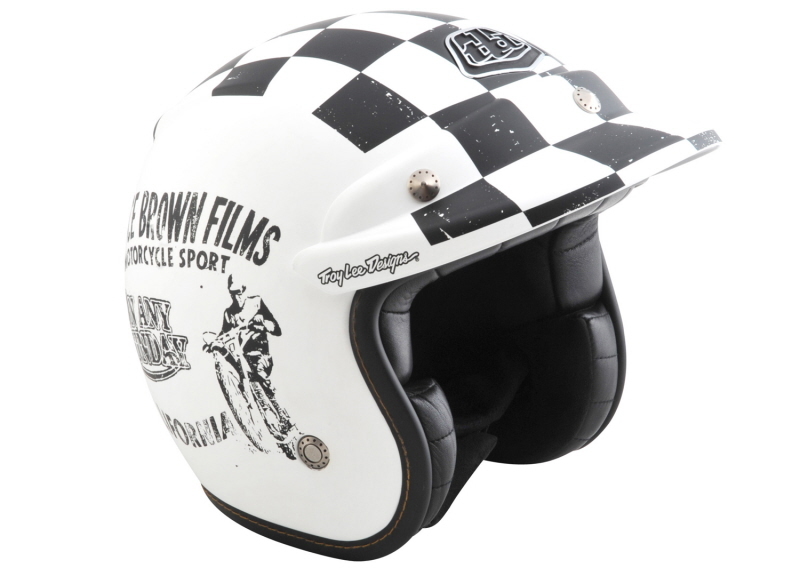 A vintage style snap on checkered matching removable peak comes with the helmet. A special limited edition checker design and logo'd matching helmet bag is included for protection of the helmet when not in use. Troy Lee Designs Any Sunday Open Face crash helmet Medium Bruce Smith productions Motor cross helmet This Limited Edition helmet is named and styled after the Oscar nominated 1971 motorcycle racing documentary On Any Sunday.The documentary has been called the most important motorcycle documentary ever made, so it is only fitting that it should have its own helmet.